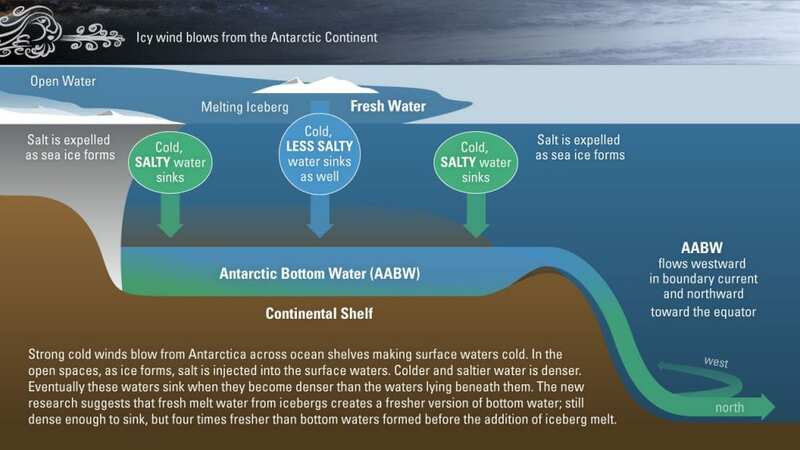 In the cold depths along the sea floor, Antarctic Bottom Waters are part of a global circulatory system, supplying oxygen-, carbon- and nutrient-rich waters to the world’s oceans. Over the last decade, scientists have been monitoring changes in these waters. But a new study from the Woods Hole Oceanographic Institution (WHOI) suggests these changes are themselves shifting in unexpected ways, with potentially significant consequences for the ocean and climate. In a paper published January 25 in Science Advances, a team led by WHOI oceanographers Viviane Menezes and Alison Macdonald report that Antarctic Bottom Water (AABW) has freshened at a surprising rate between 2007 and 2016—a shift that could alter ocean circulation and ultimately contribute to rising sea levels. The puzzle itself isn’t new: past studies suggest that AABW has been undergoing significant changes for decades. Since the 1990s, an international program of repeat surveys has periodically sampled certain ocean basins around the world to track the circulation and conditions at these spots over time. Along one string of sites, or “stations,” that stretches from Antarctica to the southern Indian Ocean, researchers have tracked the conditions of AABW—a layer of profoundly cold water less than 0°C (it stays liquid because of its salt content, or salinity) that moves through the abyssal ocean, mixing with warmer waters as it circulates around the globe in the Southern Ocean and northward into all three of the major ocean basins. The AABW forms along the Antarctic ice shelves, where strong winds cool open areas of water, called polynyas, until some of the water freezes. The salt in the water doesn’t freeze, however, so the unfrozen seawater around the ice becomes saltier. The salt makes the water denser, causing it to sink to the ocean bottom. As a result, the frigid flow plays a critical role in regulating circulation, temperature, and availability of oxygen and nutrients throughout the world’s oceans, and serves as both a barometer for climate change and a factor that can contribute to that change. A past study using the repeat survey data found that AABW had warmed and freshened (grown less saline) between 1994 and 2007. When Macdonald and Menezes revisited the line of stations, they measured how AABW has changed in the years since. 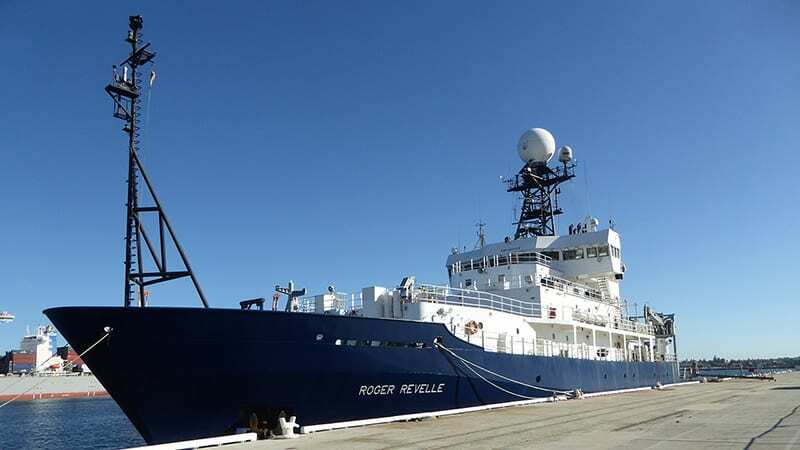 During the austral summer of 2016, they joined the crew of the research ship R/V Revelle and cruised north from Antarctica to Australia, braving frequent storms to collect samples every 30 nautical miles. 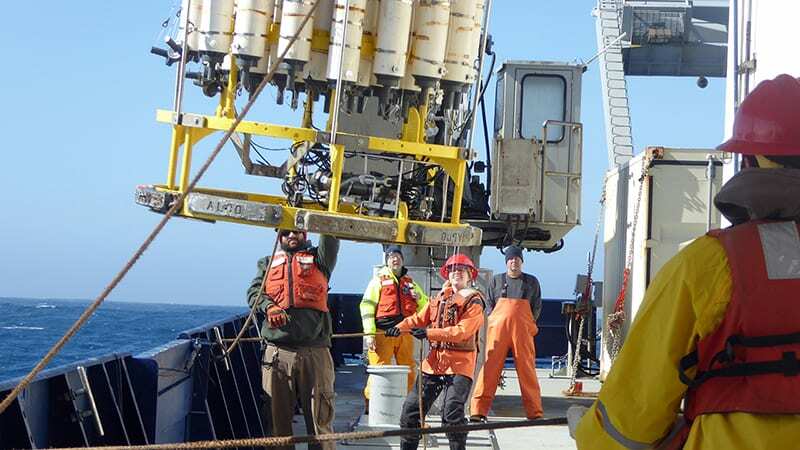 In a shipboard lab, they analyzed the samples using data from conductivity-temperature-depth (CTD) sensors, which measure the water’s salinity, temperature and other properties, with support from study co-author Courtney Schatzman of the Scripps Institution of Oceanography, who processed the raw data. The team found that the previously detected warming trend has continued, though at a somewhat slower pace. The biggest surprise, however, was its lack of saltiness: AABW in this region has grown fresher four times faster in the past decade than it did between 1994 and 2007. Such a shift, were it global, could significantly disrupt ocean circulation and sea levels. Questions remain around the cause of the shift. Menezes and Macdonald hypothesize that the freshening could be due to a recent landscape-changing event. 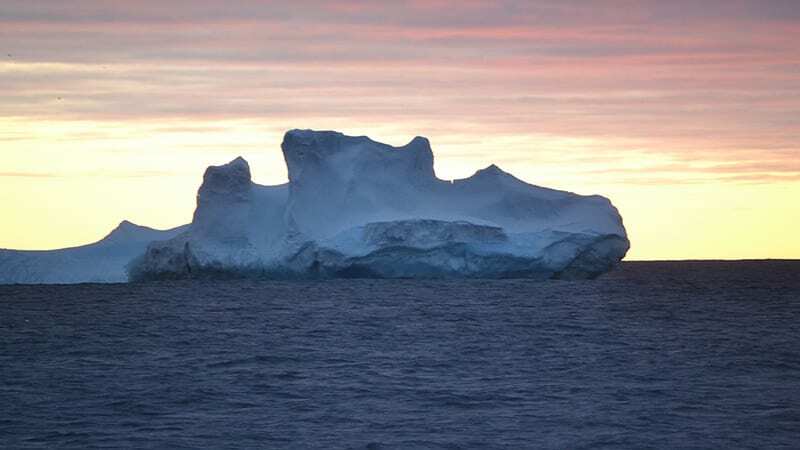 In 2010, an iceberg about the size of Rhode Island collided with Antarctica’s Mertz Glacier Tongue, carving out a more-than-1,000-square-mile piece and reshaping the icescape of the George V/Adelie Land Coast, where the AABW observed in this study is thought to form. The subsequent melting dramatically freshened the waters there, which may have in turn freshened the AABW as well. Future studies could use chemical analysis to trace the waters back to the site of the collision and calving and confirm the hypothesis. This research was funded by the National Science Foundation and the National Oceanic and Atmospheric Administration.